Bocanci ultrausori din gama Light Trekking de la celebrul brand BOREAL, primul producator din lume care a utilizat membrana impermeabila si respiranta la incaltaminte, in anii "70. Made in Spain pentru utilizare in intreaga lume. Piele de cea mai buna calitate de 1.8mm, impermeabilizata, cu insertii sintetice tip Kevlar (similar) / Teramida SL, cu sistem calcai dublat HFS pentru o potrivire perfecta si sistem flexiune CFS pentru comfort maxim in timpul deplasarii. Protectie frontala din cauciuc. Talpa VIBRAM NUASI si strat anti-shock (shock absorber). Membrana BOREAL DRY-LINE ® FLS pentru impermeabilitate absoluta si respirabilitate optima. Talpa mediana BOREAL PXF. Greutate: 1180g (marimea 7UK). Marimi: 6 - 12 UK. Culori: gri-azul, gri,gri-rojo. In stoc: gri-azul. UPPERS: Premium quality waterproof 1.8mm split leather with Teramida SL. HFS padded heel system for a perfect fit. CFS flex system for maximum comfort. Rubber toecap for protection. SOLE: Vibram Nuasi. Rubber sole with shock absorbing PU layer. 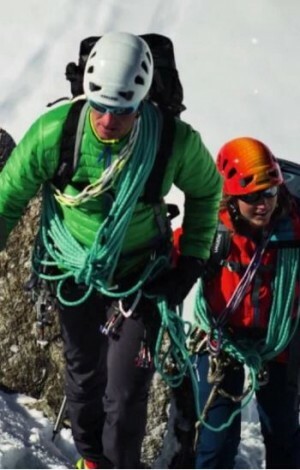 LINING: Boreal Dry-Line® FLS for absolute waterproofness and stay cool breathability. 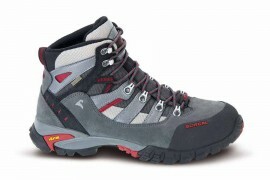 USAGE: Light trekking, back packing, hill walking (2 - 3 season use). Travel. 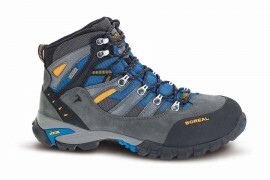 ​WEIGHT: ​1180 grs./pair (size 7 UK). Features: The upper is constructed from high quality split leather and Teramida SL with a rubber toe cap for an excellent combination of durability and light weight. Our HFS™ (Heel Fit System) keeps your heel secure, while the CFS™ (a softer area at the rear of the ankle cuff and top of the tongue which allows unrestricted fore/aft leg movement) gives superb freedom of movement and comfort. 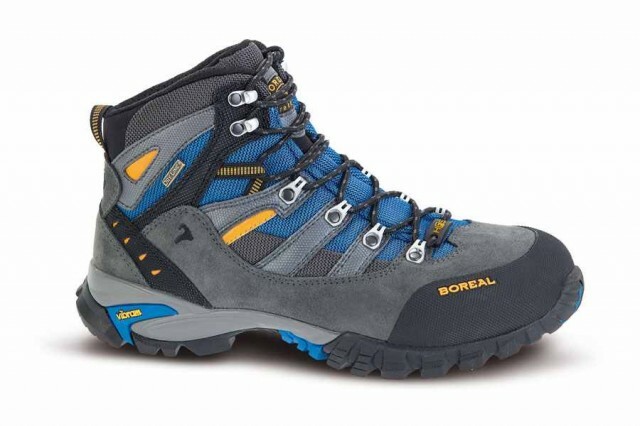 Our Boreal Dry-Line FLS™ waterproof and breathable lining keeps the foot dry and comfortable, and the PXF midsole provides ample support on rougher ground or when carrying a pack. The Vibram Nuasi™ outsole is grippy and durable, and features a shock-absorbing PU layer for underfoot comfort.Klamath is ideally suited to 2-3 season hill walking and light trekking.